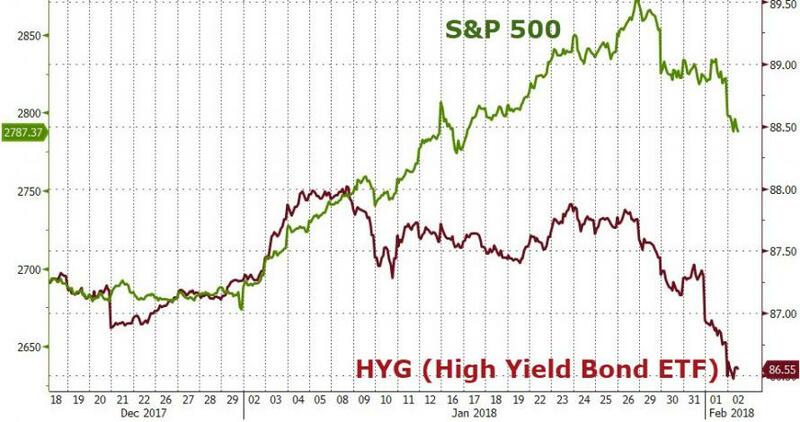 To Jeff Gundlach, This Is The "Chart Of Death"
That high-yield bonds have decoupled from stocks (despite both their valuation-bases being driven from underlying business volatility) is not a new factor in the melt-up manic-manipulated markets we experience every day. But, as DoubleLine's Jeffrey Gundlach notes, the size of the divergence is becoming extreme to say the least. 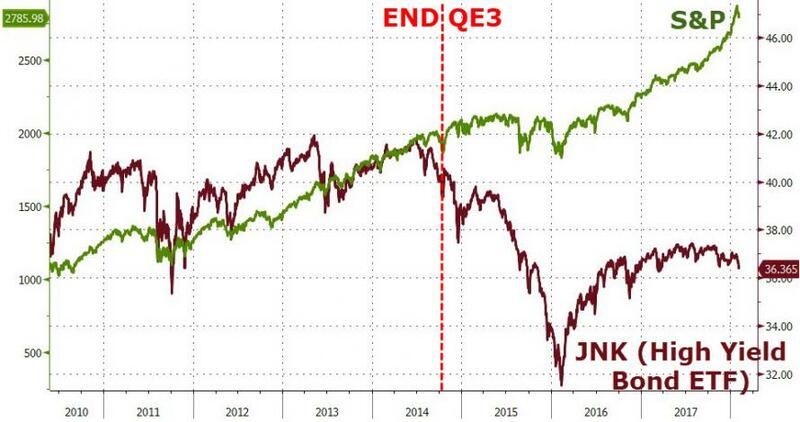 "JNK chart looks like death. 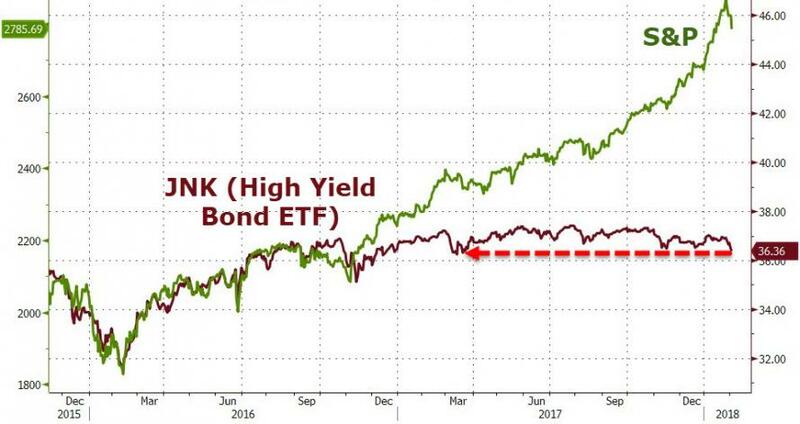 No way to win here, folks..."
JNK chart looks like death. No way to win here, folks. "JNK ETF now down YTD. If rates keep rising, I expect JNK to underperform Treasuries. Even more likely if rates fall. Not a good JNK set-up." 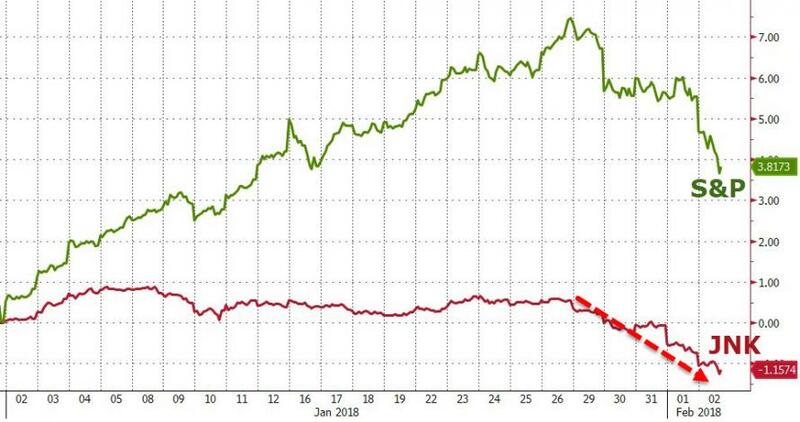 JNK ETF now down YTD. 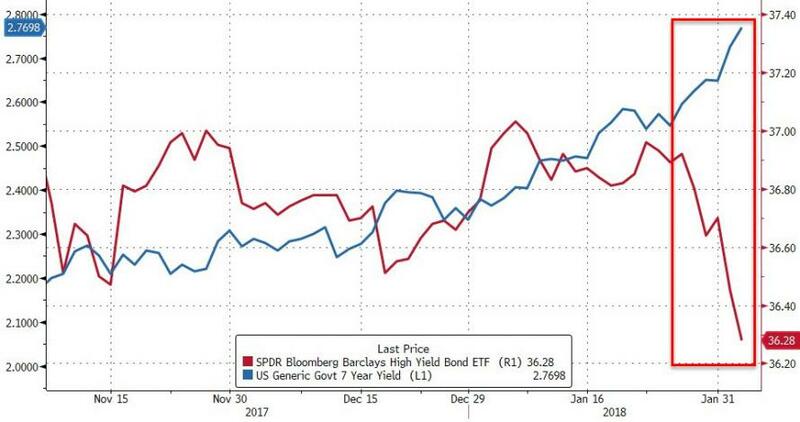 If rates keep rising, I expect JNK to underperform Treasuries. Even more likely if rates fall. Not a good JNK set-up.